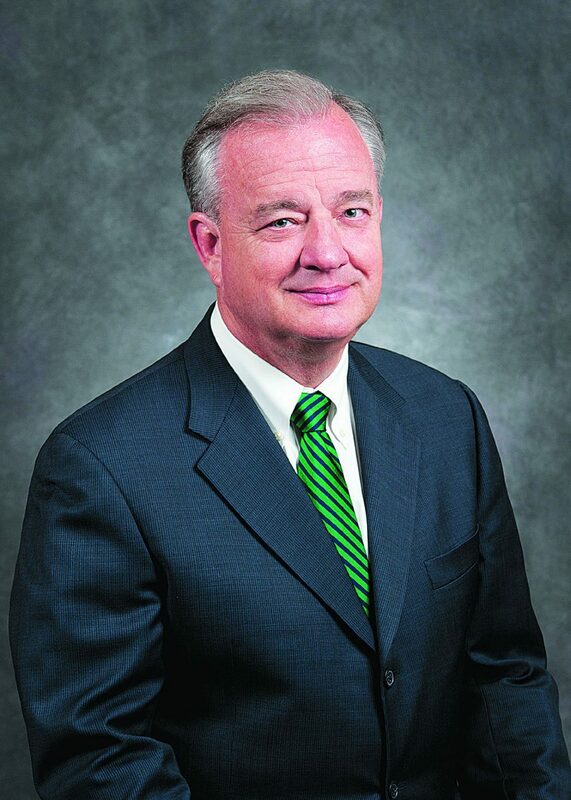 McALLEN — John Sharp, chancellor of the Texas A&M University System, was named the 2018 Border Texan of the Year Monday at PlainsCapital Bank. Sharp, from Victoria, said there’s “not an award anywhere that could mean more to me than this one.” He was flanked by last year’s winner, State Sen. Eddie Lucio Jr., D-Brownsville, and former winner, State Sen. Juan “Chuy” Hinojosa, D-McAllen. Hinojosa praised Sharp for always helping the Rio Grande Valley, whether it was during his time as a state representative, senator or comptroller, or with the railroad commission. Sharp also talked about the soon-to-open Texas A&M campus in McAllen.